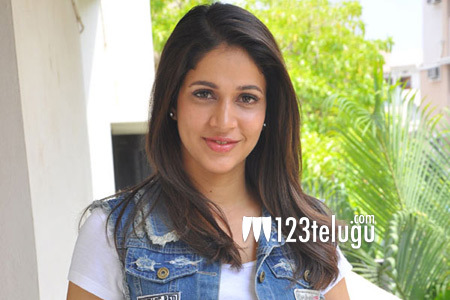 Lavanya Tripathi has denied rumours that she is going to be part of a Kannada film, The Villain. For the past few days, a section of media has been speculating that Lavanya will play one of the leads in this film which also stars Kiccha Sudeep, Shivarajkumar and Amy Jackson. When Lavanya finally got a whiff of the rumours, she took to Twitter to clarify that she is not part of the project. Currently, she is busy shooting for Naga Chaitanya-Krishna’s action thriller and she is also awaiting the release of Mayavan. It looks like Lavanya is going to be all the more choosy about what she signs next and it remains to be seen if she’s going to spring a surprise soon.